The Ivy collection by Aussie designer Shab M draws its inspiration from real ivy that grows on walls gives this design a fresh and elegant look. matched with its saved the date and rsvp cards this set is subtle yet beautiful for any event indoors or for those planning a wedding at a vineyard and would be great for those planning a modern ceremony or reception. 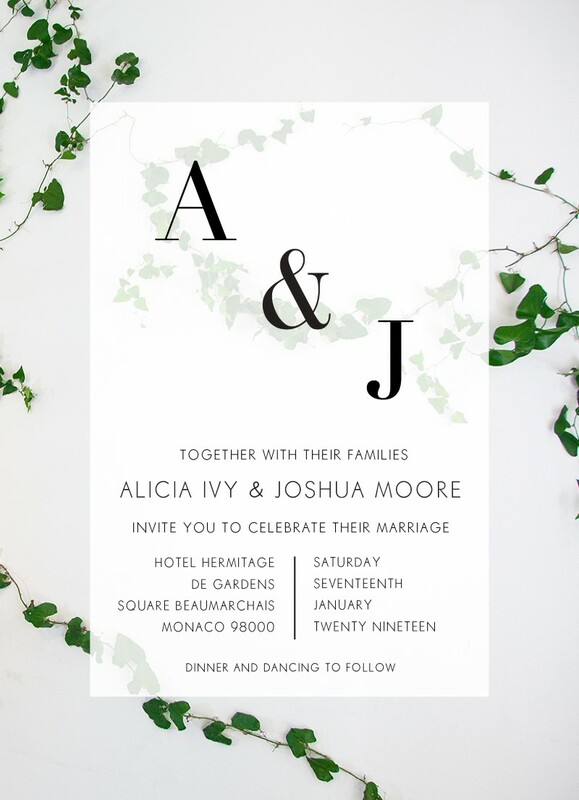 This Wedding Invitations card from the greater Ivy design collection looks fantastic when printed using Digital Printing and here at Paperlust we think it looks best on Paperlust Cotton.